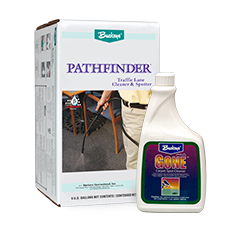 We're an innovative leader in the commercial cleaning and maintenance products industry. With patented industrial products and technologies, it's easy to see why. Our quality products prove that safety and improved product performance can coincide. 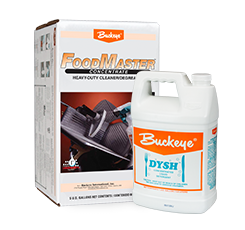 Buckeye offers an extensive branded line of cleaning and maintenance products. Each product is designed with quality, innovation, and integrity in mind. Discover more about our product lines. 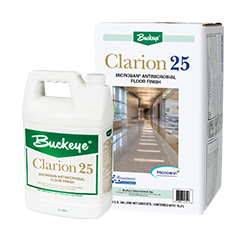 Customize your floor care program to fit your facility’s needs with Buckeye products for every floor type, equipment, and maintenance level. 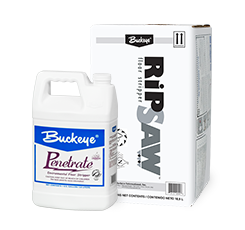 High performance floor strippers from Buckeye that cut through floor finish buildup and work in cold water. 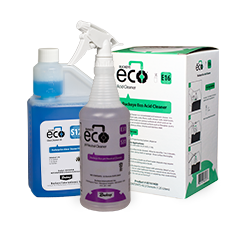 All-purpose, heavy-duty cleaners designed for use on multiple surfaces and with other industrial cleaning products. 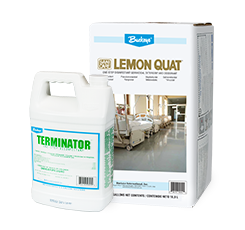 Our powerful disinfecting cleaners are EPA registered and meet the OSHA bloodborne pathogen standard for healthcare facilities. Neutralize odors with our high-quality dilutable cleaning products designed specifically to counteract distracting odors and freshen the air. 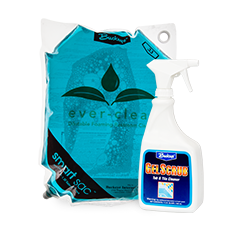 Versatile, effective bathroom cleaning products that contain no butyl and range in variety from toilet bowl cleaners to tub and tile scrubs. 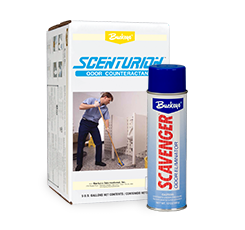 The wide variety of carpet cleaning products offered by Buckeye include shampoos and sanitizers that keep your carpet looking like new. 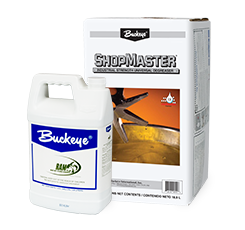 Water-based degreasing cleaners from the Buckeye ShopMaster family use safe ingredients and patented Liquescent® technology. 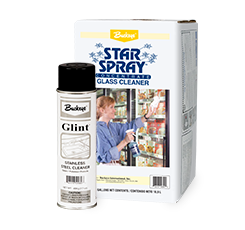 Effective cleaning products for food service facilities focusing on clean, sanitary, and contaminant-free work stations for a healthier environment. 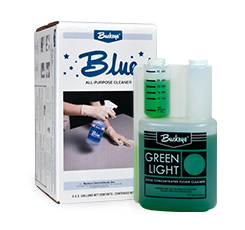 With a wide range of cleaners, polishes, and detergents that safely clean multiple surfaces, Buckeye caters to any specialized industry and need. Our dilution system programs are ecofriendly and produced in green packaging that works to preserve and protect the environment. 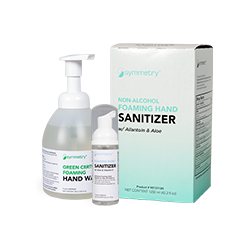 Improve your facility’s hand hygiene compliance and lower absenteeism with hand sanitizing products and training from Symmetry. 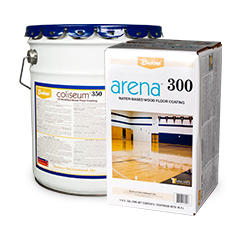 Protect and restore your wood floors with our water-based wood floor care products that can extend your maintenance cycles, reducing labor costs. 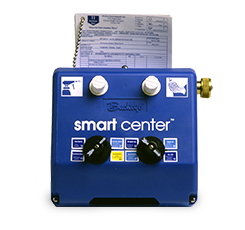 With interchangeable, easy to use, and cost-efficient dilution control systems, Buckeye works to make cleaning easier for any industry.